A family tradition since... well, as long as I can remember! My mother’s oldest sister, Esther Smith, never married, but lived with our family during our childhood. We never knew what a babysitter was: there was no need with a live-in aunt. She helped Mom with cooking, canning and gardening, and knew more about baseball than any other person I have ever met. 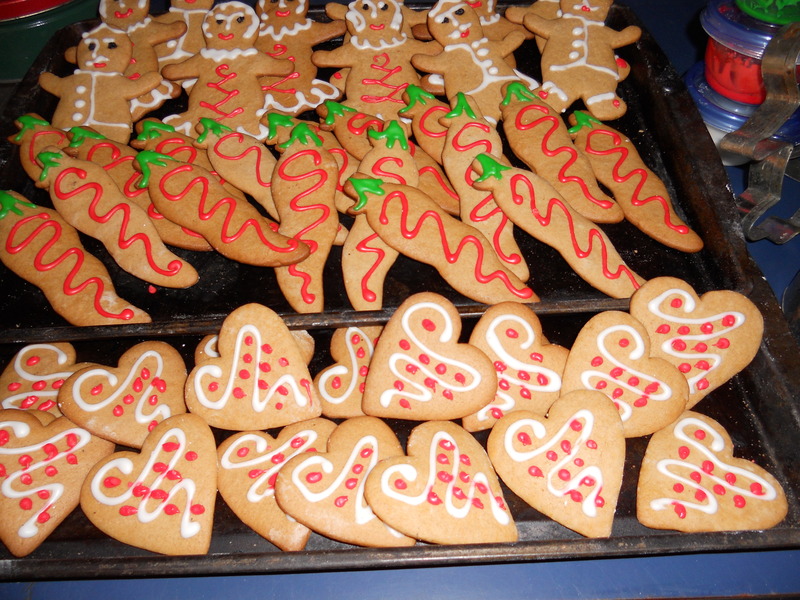 At Christmas time, she took charge of baking gingerbread cookies. Although I don’t remember her using a recipe, this is exactly what she wrote down for me a few years before her death in 1985. She assumed I knew what to do with these things, and we assume you do too. Merry Christmas!